The healing journey is far from linear and it is also far from uniform. Every person has their own winding set of experiences, responding to emotions as they emerge and doing the best they can along the way. Therapy can be invaluable in this work, and it can be supportive to tap into the body’s wisdom in other ways as well. In this blog post, we will explore a variety of holistic approaches that inspire full-body wellbeing. Stemming from the practice of Chinese Medicine and developed over thousands of years, acupuncture supports balance in the mind, body and spirit. Perhaps you’re having a difficult time sleeping and are waking up at the same time every night or maybe your appetite has been off. Acupuncture could be a supportive treatment for you. Amongst other things, acupuncture can be supportive if you are experiencing anxiety or depression. You can learn more about what to expect from an acupuncture treatment through the Maryland University of Integrative Health. Want to try it out? Mend offers affordable community acupuncture in Remington and at Quarry Lake. Additionally, Maryland Community Acupuncture in Patterson Park offers sessions for as low as $20.00. This modality of care is centuries old and practitioners are trained in physical manipulation, clinical nutrition, botanical medicine, homeopathy and hydrotherapy. If you are wondering how to support your mental health while using your body as a starting place, naturopathic care is a potential modality to explore. Dr. Emily Telfair, ND of HeartSpace Natural Medicine is a local resource for patients who are ready to open this door of their healing journey. In her words, she offers “support with connecting the dots between your physical symptoms and how they relate to your life experiences”. 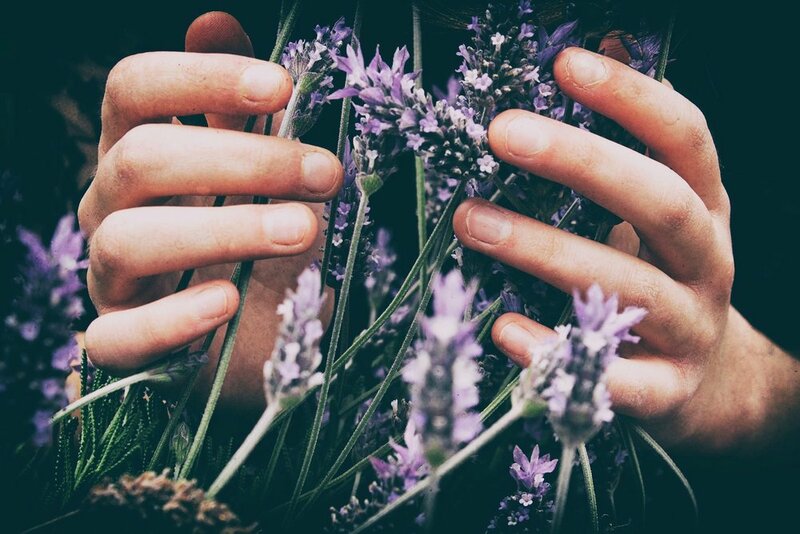 In many ways, herbalism invites you to “stop and smell the roses” (or lavender, or raspberry, or that plant poking up between the sidewalk cracks you always thought was ‘just a weed’). The earth is bursting with plant allies if you know where to look. As you begin this journey, Zensations is the perfect first stop. Bodywork can take many shapes: traditional massage, craniosacral therapy, and nervous system regulation (amongst others). Are you curious about what your body has to say about what you’ve been feeling and experiencing? Ladan Nabet and Metta Integrative Wellness Center are supportive Baltimore resources when it comes to unpacking your body’s voice. What have been your doors to healing? Which doors are presenting themselves to you now? Erin Bowman is one of Space Between Counseling Services’ newest graduate interns. Upon her Graduation from the University of Baltimore’s counseling psychology Master’s program in 2020, Erin plans to seek licensure as a LCPC. Erin is also a cyclist and enjoys exploring Baltimore’s parks by bike. When she’s not riding through the city, she can also be found reading science fiction and getting lost in bookstores. In this second part of of our two-blog series inspired by the teachings of Marie Kondo, we will apply the KonMari method through simple activities designed to help you better tidy up your relationships. We hope this blog will inspire the courage and intention you need in order to facilitate nourishing relationships into your life.